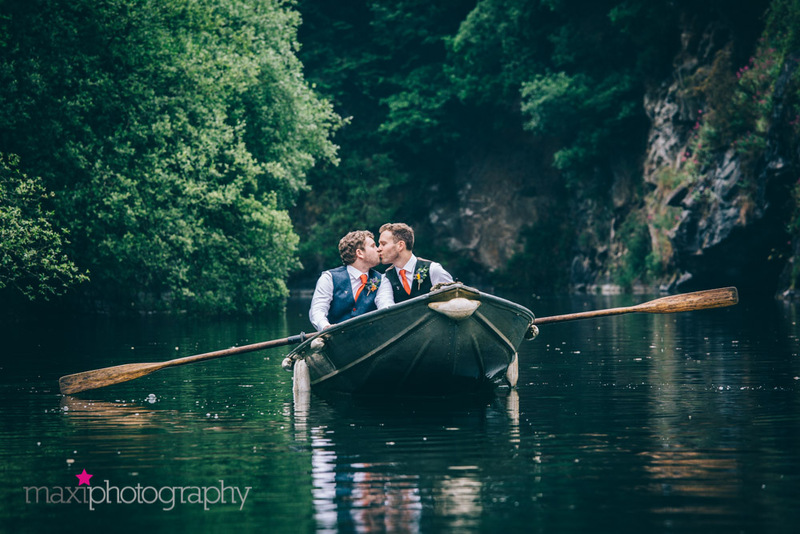 Andy and Jonny tied the knot at the immeasurable Cornish Tipi Weddings in beautiful St Kew. 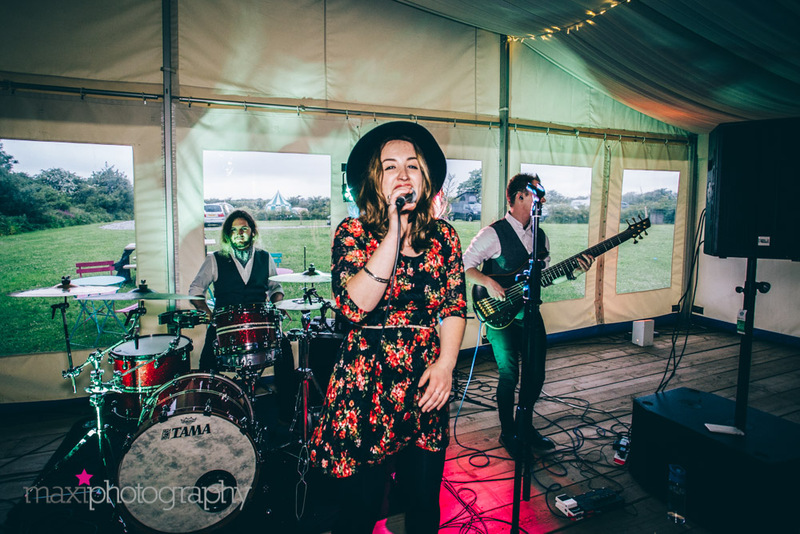 And testament to their exquisite taste, they booked our amazing Mumford and Sons style band Festival Heart to entertain! 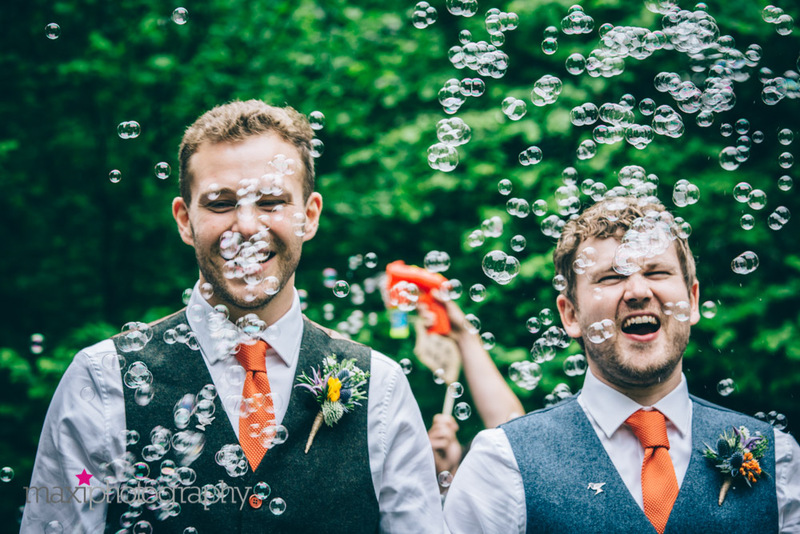 We caught up with Andy to share his experience of the amazing day! That’s a hard one to answer. Walking towards the wedding pavilion hand in hand and seeing everyone we love and care for, all there waiting for us, was definitely a favourite moment. It was surreal yet had us beaming with happiness at the same time. Having that brief alone time after the ceremony (G & T in hand!) was also a wonderful moment for us to reflect and play over in our minds the awesomeness of what had just happened. Our first dance was also a key highlight. It took a lot of people by surprise and put a lot of smiles on faces. We wanted somewhere that reflected our personalities and values, and which provided an alternative to your mainstream wedding venue. Cornish Tipi Weddings did just that, offering a more down to earth outdoor location, whilst still making the whole event feel very special. The four days we were there felt like a true escape from modern day stresses, allowing us and all our guests (especially those who stayed on site), to enjoy themselves and focus on what really matters in life. 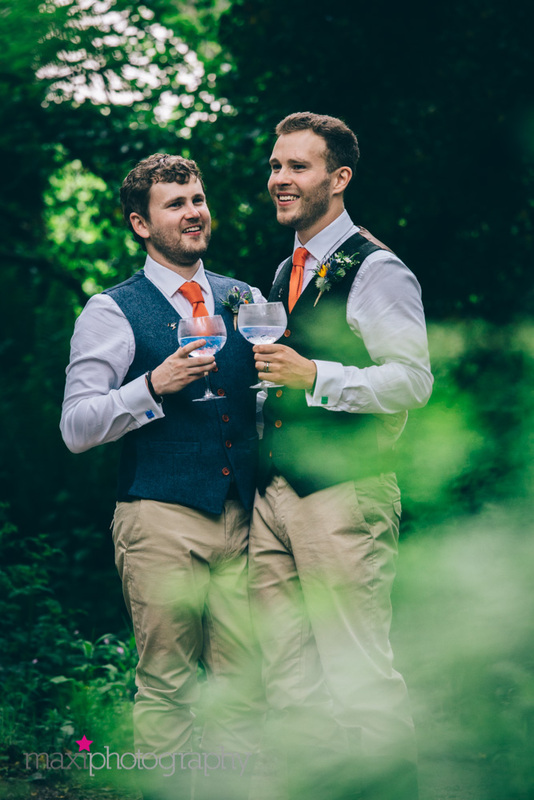 Yes – We had a colour scheme based on the following three colours – Green represented Jonny, Blue represented Andy and Orange represented all that brings us together. This was represented throughout, including in the flowers, the decorations (involving a lot of twine! ), the invitations and in our outfits. We have come to like this colour scheme so much that we’ve placed some hints of it around our house! How did you hear about Festival Heart? 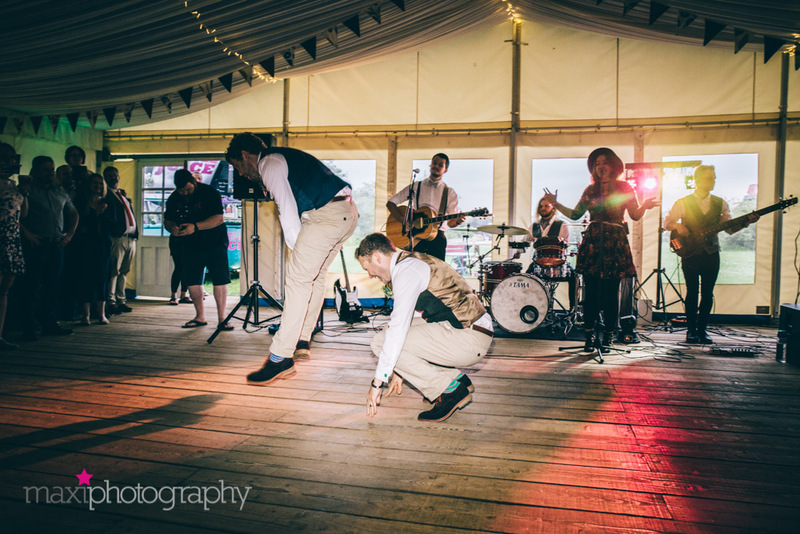 Mumford and Son Style Wedding Band”, and after trawling through a few of the results, we came across Festival Heart. Watching the sample videos of what they had done and produced, along with the wide range of songs they could perform, was what sold them for us. Festival Heart were absolutely superb at matching their performance to the tone and feeling of the day. They got everyone up and dancing, and kept the dance floor very busy through every performance slot. 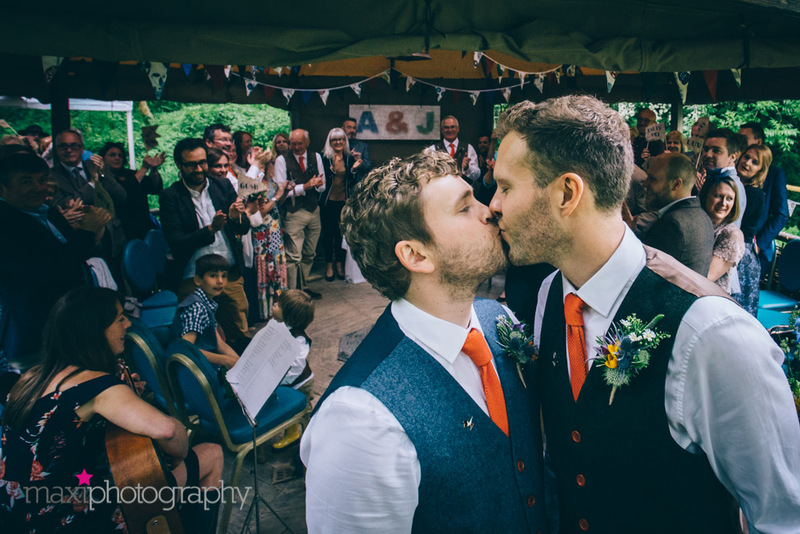 In particular, they helped us get the party going by performing for our first dance. Since we had rehearsed a particular dance to American Authors – Best Day of My Life, it was crucial for us to have the song performed to the same timing etc. that we had had during our rehearsals. They nailed this perfectly. Music HQ were easy to work with and book Festival Heart for our wedding. They were quick to respond to e-mails and courteous in their responses. They come highly recommend. Don’t leave things to the last minute, especially the small things. You want to be able to enjoy the run up to your wedding and not be putting decorations together the day before! Also, make sure you put aside time on the day to be alone with each other and to take it all in. We ourselves truly valued this. Apart from maybe not leaving a couple of things to the last minute in the run up to the wedding, there is nothing we would change. It really was the perfect day for us. And we’d also like to include all of our friends and partners in the post so we could give a well-deserved shout out to your amazing suppliers. Could you tell us who provided the following for you, again – if you don’t mind?